You will be surrounded by festive décor Christmas decorations, garlands and lights as you walk the streets of The Wizarding World of Harry Potter – Hogsmeade and Diagon Alley. You will also enjoy special holiday themed food and holiday performances by the Frog Choir and Celestina Warbeck and the Banshees. 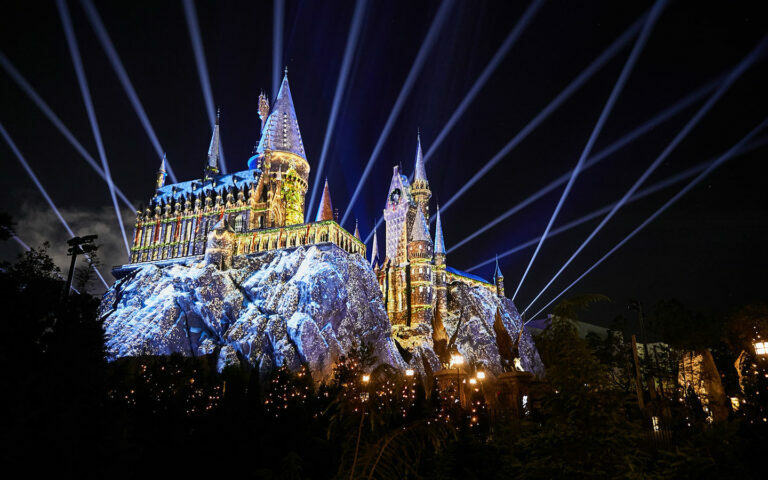 And as night falls – you will be able to experience Hogwarts Castle as it brings incredible Christmas moments inspired by the Harry Potter series to life. 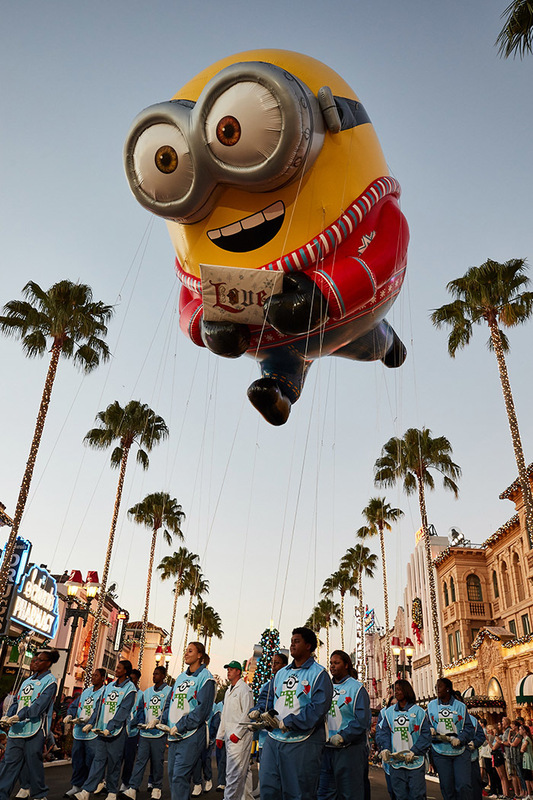 Universal Orlando Resort™ is partnering with Macy’s to bring Universal’s Holiday Parade featuring Macy’s, which will feature new festive balloons and incredibly detailed floats that can’t be seen anywhere else – designed exclusively for Universal Orlando. The parade will also include appearances by the Despicable Me Minions and other favorite characters like Shrek and Fiona, King Julien, the Penguins of Madagascar, and more! Watch the Grinch’s heart grow three sizes during a live retelling of Dr. Seuss’s holiday classic in the “Grinchmas Who-liday Spectacular” and join the merry Whos from Who-ville as they celebrate the true meaning of the season and bring Grinchmas to life throughout Seuss Landing at Universal’s Islands of Adventure. You can even enjoy a festive breakfast with the Grinch himself on select dates. Holiday music sensation, Mannheim Steamroller, returns to Universal Orlando to spread cheer for all to hear during live concerts at Universal Studios Florida on select nights during the months of November and December. 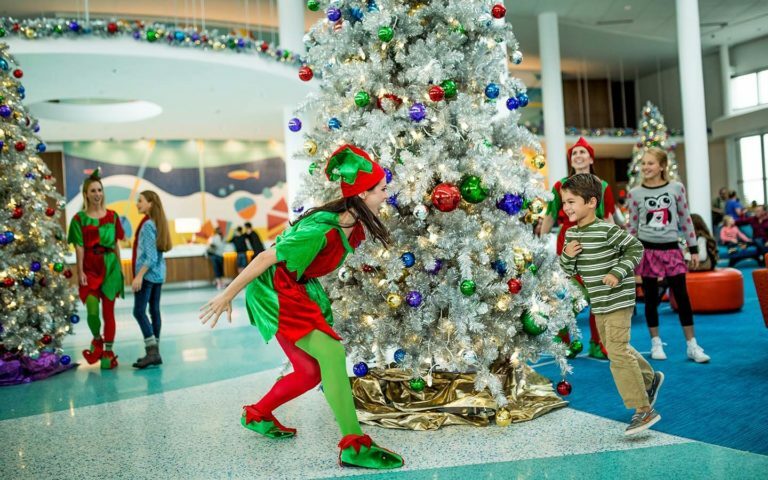 You can also experience holiday festivities while staying at one of Universal Orlando’s on-site hotels. All hotels will glisten with festive decorations and offer holiday activities, including tree lightings, menorah lightings, and Thanksgiving, Christmas and New Year’s Eve buffets. Take your Holidays celebrations to the next level at Universal Orlando Resort™. AAA Members also receive exclusive member benefits with select vacation packages and are granted exclusive in-park discounts. Call 1-800-444-8691 or visit your local travel branch for more information.